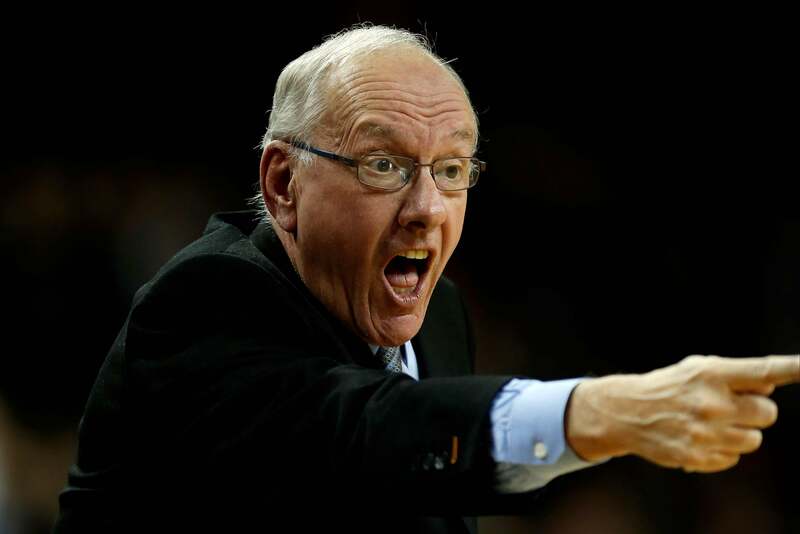 Syracuse NCAA appeal: Boeheim backed by administration. Weeks after the NCAA released a detailed report alleging systematic academic fraud (as well as money- and drug-related violations) perpetrated by the Syracuse basketball program, the school’s administration has announced that it will appeal the NCAA’s sanctions and retain 70-year-old basketball coach Jim Boeheim for three more years (after which he’ll retire). The athletic director who oversaw the alleged violations will step down, but will remain at the university in another position. The University does not agree with all of the conclusions reached by the Committee on Infractions and does not agree that the full set of penalties imposed by the Committee are appropriate or equitable. We remain disturbed by the severity of certain penalties and the characterization by the NCAA of certain facts surrounding the case. After a full discussion with the Board of Trustees Athletics Committee, the University accepts some of the penalties imposed by the Committee, but will appeal the vacation of certain wins for the men’s basketball program and the reduction in men’s basketball scholarships.